The John Boos Walnut Cutting Board features an edge grain construction and is reversible. This large 24" x 18" surface can handle the largest cutting and chopping tasks or provide a beautiful centerpiece for an expansive cheese board. For secure carrying, hand grips are carved into each end. 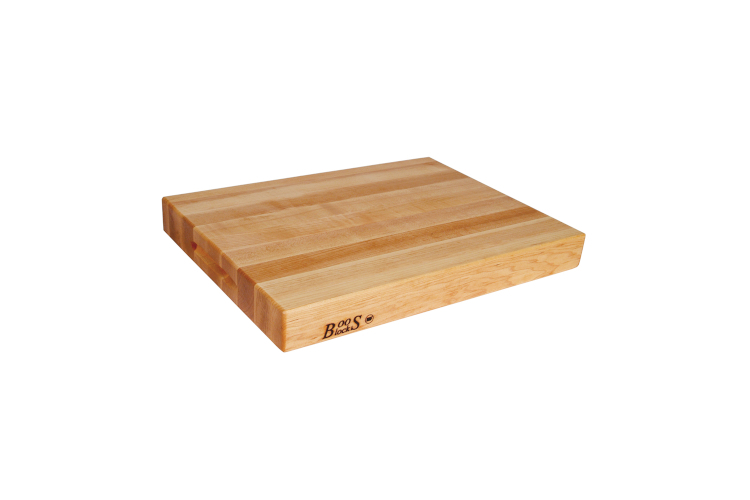 Made in the USA, John Boos uses premium construction techniques and the highest quality hardwoods from the United States for its cutting boards. The boards are finished with Boos Board Cream containing beeswax.